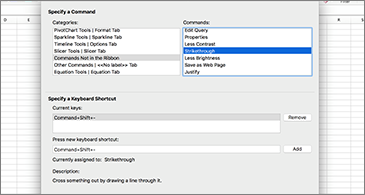 Move through a document, line by line, without distractions. Adjust the focus to put one, three, or five lines in view at a time. Why reinvent when you can re-use? 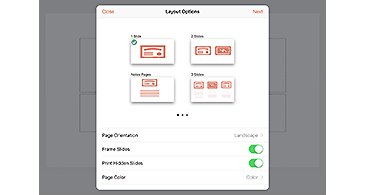 Save time by re-using slides that you created or that others have shared with you. 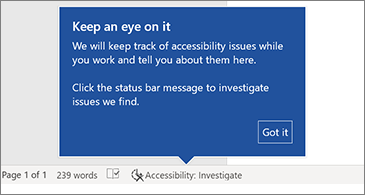 Accessibility checker keeps an eye on your documents and tells you in the status bar when it finds something you should look at. Try it by clicking Review > Check Accessibility. Note: If you use Office at work, the availability of the features above may vary based on your company's update policies. 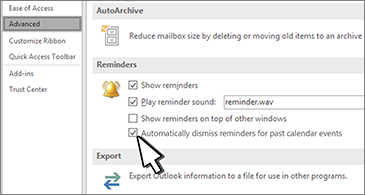 See what's new in the February update, Version 1902 (Build 11328.20146). 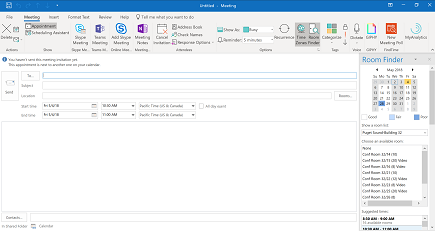 Take a look at what's new in the January update, Version 1901 (Build 11231.20130). 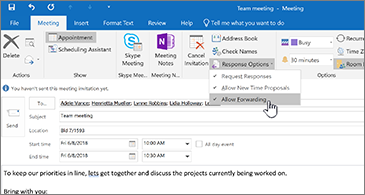 Take a look at what's new in Version 1812 (Build 11126.20188). 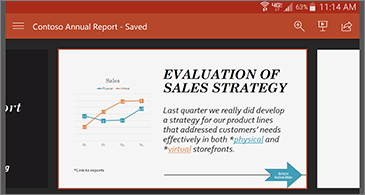 Transform your document into an interactive, easy-to-share web page that looks great on any device. 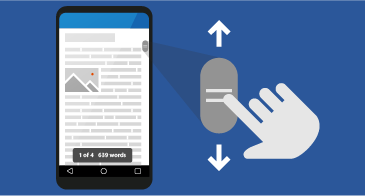 Focus on just a few lines at a time while you listed to text being read to you. 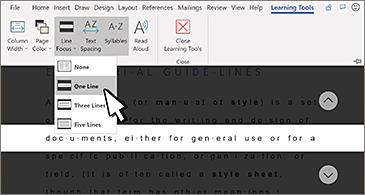 Read Aloud lets you choose a 1-line, 3-line, or whole-document view. Take a look at what's new in Version 1811 (Build 110029.20079). 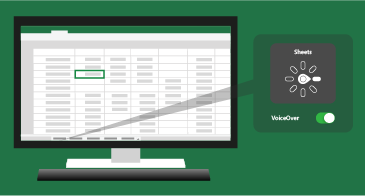 Look for a conference room using more than one room list — and switch lists without losing rooms you've selected. Take a look at what's new in Version 1810 (Build 11001.20074). 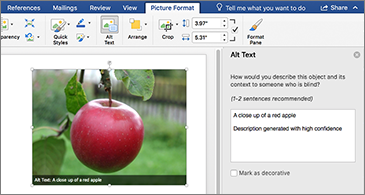 Put a picture on a slide, worksheet, or document, pick a pre-set, and watch the transparency change. That's it! 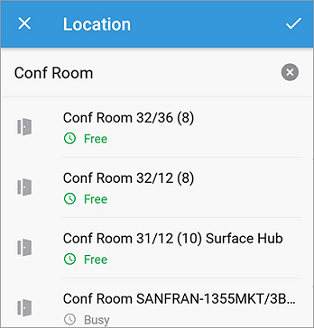 Look for a conference room using more than one room list - and switch lists without losing rooms you've selected. Take a look at what's new in Version 1809 (Build 10827.20181). Take a look at what's new in Version 1808 (Build 10730.20127). 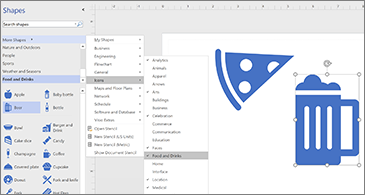 Automatically add shapes and metadata to a Word document. 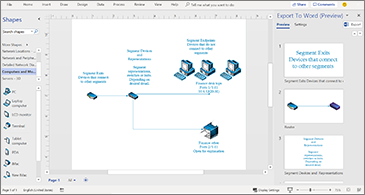 Then, customize the document to create process guidelines and operation manuals. Pick from 26 new stencils with icons for analytics, arts, celebration, faces, sports, and more. 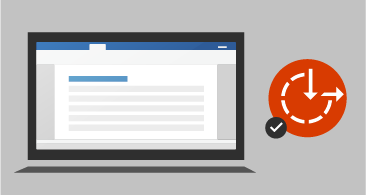 Take a look at what's new in Version 1807 (Build 10325.20118). 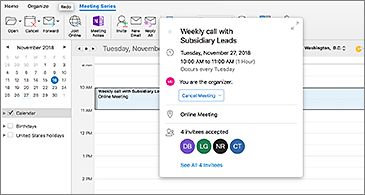 Ever wished you didn't have to switch back and forth between the Scheduling Assistant and your meeting invite when adding attendees? Wish no more! 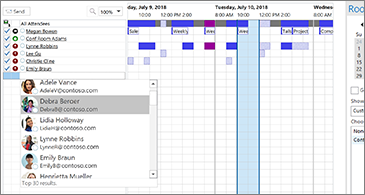 The Scheduling Assistant now provides people suggestions. 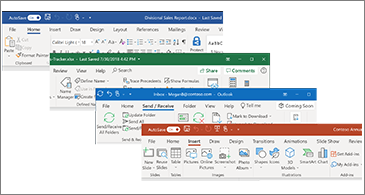 See what's new in Version 16.24.19041401, the April release. Watch your content come alive! 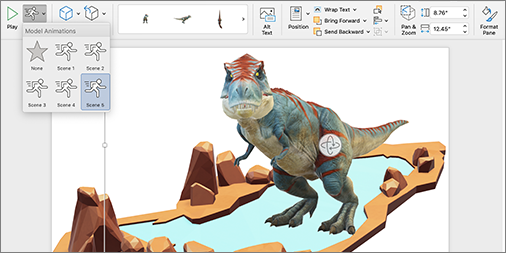 Insert animated 3D graphics to see hearts beat, planets orbit, and t-Rex rampage in your documents, worksheets, and slides. 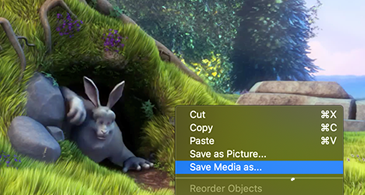 Easily extract embedded videos and audio from presentations by pressing Control + click on the media element you want to save. 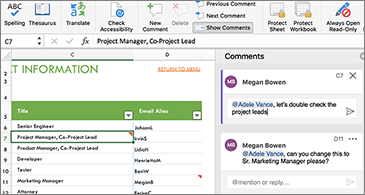 Use @mentions in comments to let co-workers know you need their input. 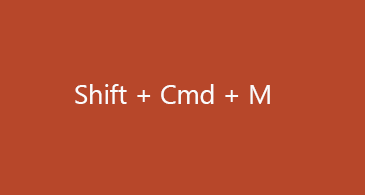 New shortcuts provide functionality previously only seen in Windows. Available in all languages. 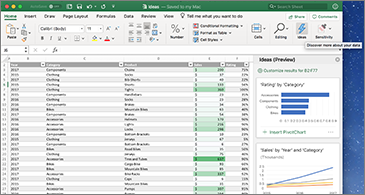 Become an Office Insider and get early access to the latest Office innovations. 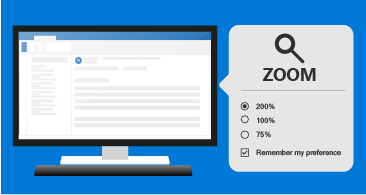 We're continuously hard at work on exclusive monthly upgrades and new features for Office 365 subscribers. 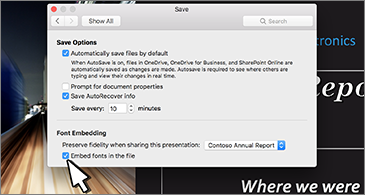 Get more information about all the releases for Office for Mac and links to download the apps. 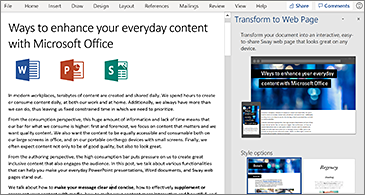 Not an Office 365 subscriber but using Office 2016? Find out what's available in your version. Keep reading to see what's new in Version 16.22.19021100. Keep reading to see what's new in Version 16.21.19011500. 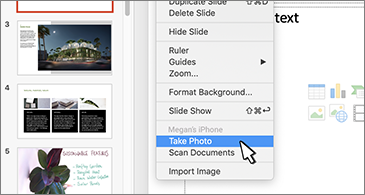 Use the Apple Continuity Camera to insert a photo from your iPad or your iPhone into your document. Keep reading to see what's new in Version 16.20.18120801. 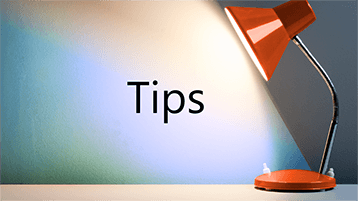 A dark background is easier on the eyes in low-light environments. Don't stress about your words. 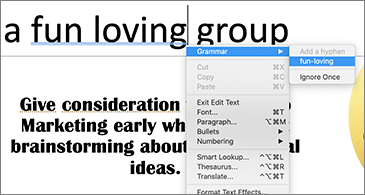 Editor provides grammar and writing suggestions, in addition to spelling. Use the Apple Continuity Camera to insert a photo from your iPhone into your slide. 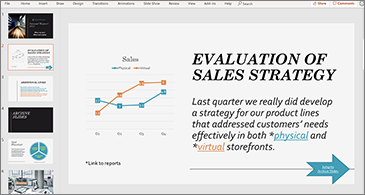 Embed fonts to ensure that your document looks the way you want to on every computer. No more surprises! 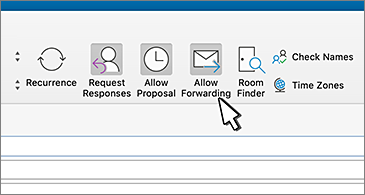 Ensure that you control who will attend your meeting by preventing attendees from forwarding the invite. 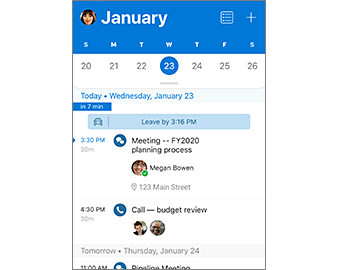 Click any meeting or event in your calendar to see who plans to be there. Work with remote colleagues, partners, or clients? 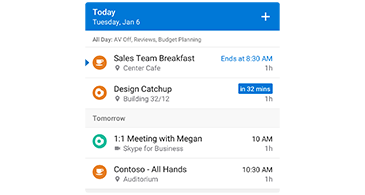 Use Teams in Outlook to schedule and join online meetings. 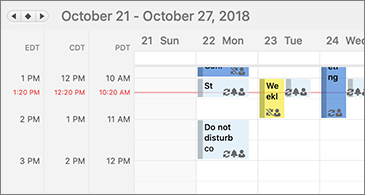 Share your calendar with family, friends, and colleagues. 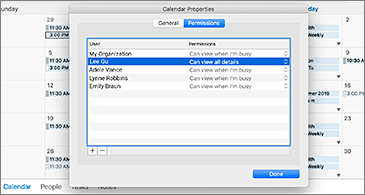 Open calendars shared with you in the Mac, Windows, or cloud versions of Outlook. Keep reading to see what's new in Version 16.19.18110915. 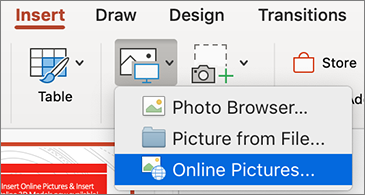 Search the web for pictures within your office apps. Select Insert > Online Pictures to begin. 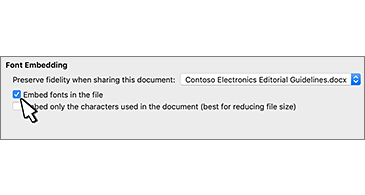 Click the filename to quickly move, rename, or browse the version history of your cloud documents, worksheets, and presentations. 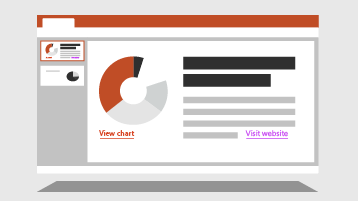 See all of the pieces of your presentation at once in an interactive table of contents. When presenting, get the flexibility you need to be creative and show your slides in any order, skip ahead or jump back as needed. 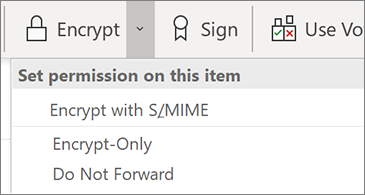 The Encrypt button now has an Encrypt-only option which makes it easier to send encrypted email, both inside an outside your organization. Keep reading to see what's new in Version 16.18.18101400. You asked for it! Animation triggers aren't just in Windows anymore. Find them on the Animations tab. 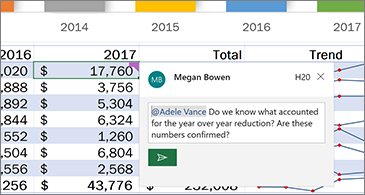 Keep the conversation going right in your worksheet with the built-in reply box. 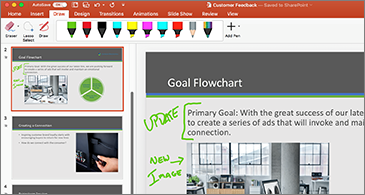 Office 365 apps are infused with artificial intelligence (AI) to help you do your best work. The Ideas pane uses AI to create smart, actionable suggestions that save you time and enhance your content. Find items faster by viewing your search history and suggestions as soon as you click in the Search field. 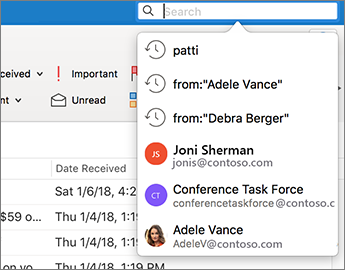 Also search across a specific mailbox by clicking the Current Mailbox button in the Search tab. Office suggests captions for your pictures to them accessible to people with impaired vision. Don't stress about your words! 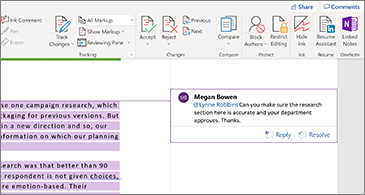 Editor provides grammar and writing suggestions, in addition to spelling. When you type a formula, the helpful AutoComplete menu appears, showing you argument options to choose from. 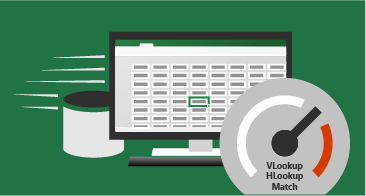 Using VoiceOver navigation in Excel? Move across sheets by pressing VO+U. 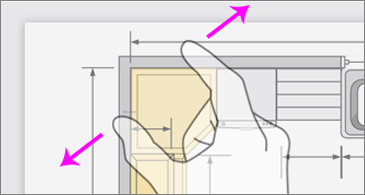 You can enable the Trackpad Commander in your Mac OS to do this too. Keep reading to see what's new in Version 16.17.18090901. 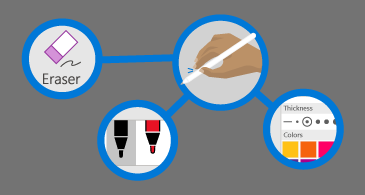 Use your mouse or touch pad, and the pens on the Draw tab to write, draw, and highlight. We heard you! At your request, we've brought back custom shortcut keys. Embed your custom fonts in your files so that wherever they go, your fonts go too. Here's what's new in Version 16.15.180702, the July feature update. Add live action to your slide with a YouTube video, and then view it without having to leave the app. 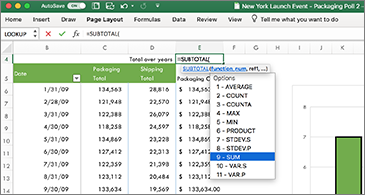 See what's new in Version 16.14.18061000, the June update. Give Flash Fill a few examples, and it will fill your data for you. 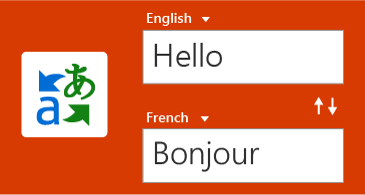 Translate words, phrases, or sentences in another language with Microsoft Translator. Express yourself with rich font styles, colors, images, links, and more. 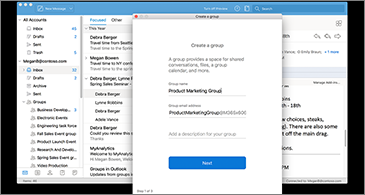 Want to create an Office 365 Group in Outlook? No problem! Add and remove members, too. Collaboration on the Mac just got easier. 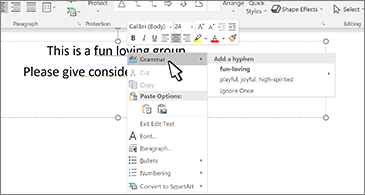 Read on to see what's new in version 2.24 (19041003), the April update. 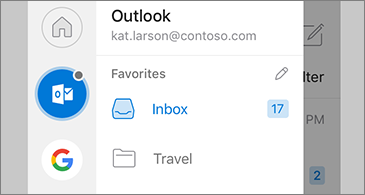 See any color categories created in Outlook Desktop, Outlook for Mac, or OWA, reflected in your Calendar on your iPhone or iPad. 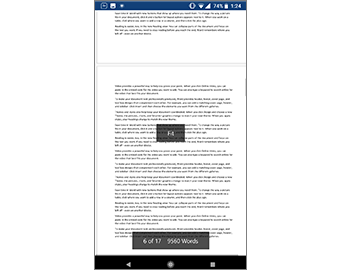 Read on to see what's new in version 2.23 (19030400), the March update. Find out when you need to leave for an upcoming appointment or meeting to arrive on time. 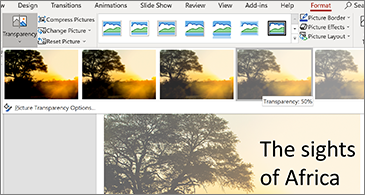 Enjoy smoother Morph transitions authored in PowerPoint for Windows Desktop, PowerPoint for Mac, or PowerPoint Mobile. 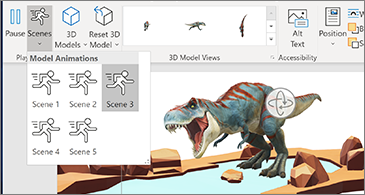 Read on to see what's new in 2.22 (19020201), the February update. Got the Apple Pencil 2? Go ahead and double-tap. Add some whimsy while you're writing with ink. Just toggle on "Sparkle Animation" in the Pen options and you'll get sparkles as you write. 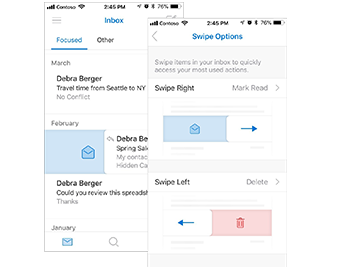 Read on to see what's new in Version 2.20 (18120200), the December 2018 feature update for iOS. Need to cancel your meeting? 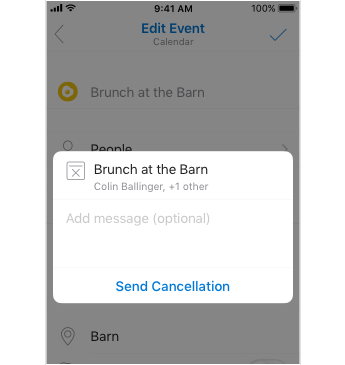 Add a message to the cancellation notice to let your attendees know why. 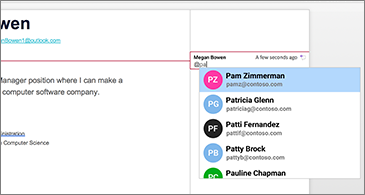 You've always been able to add and edit contacts. Now you can delete them too, right from your phone. 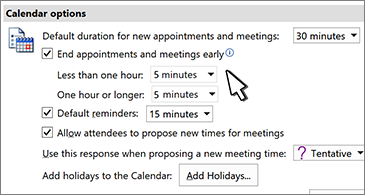 When you Convert to Event, Outlook automatically turns the folks in your conversation into invitees. 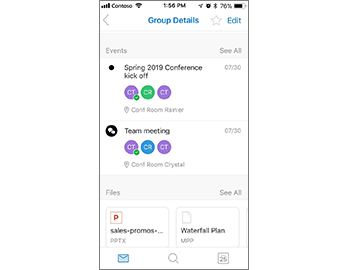 See what's new in Version 2.19 (18110500), the November 2018 feature update for iOS. 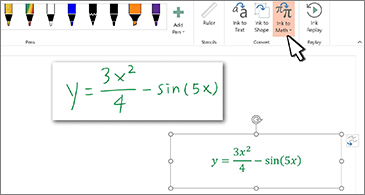 Convert hand drawings to text or shapes. Simply use the Ink to Text or Ink to Shape button to get started. 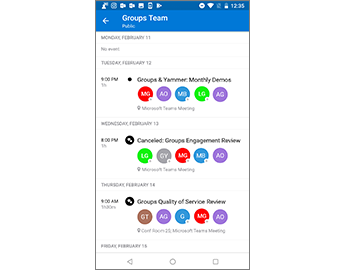 Check out the mini calendar when you RSVP to a meeting or event invite, and reply confidently. 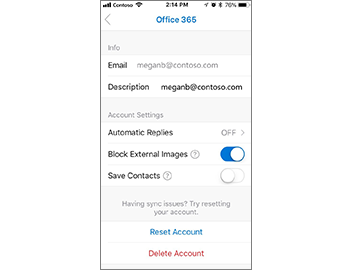 See what's new in Version 2.18 (18100900), the October 2018 feature update for iOS. 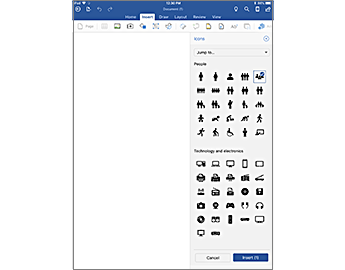 Use icons to add visual impact to your document by inserting and editing one or more of our 500 icons. 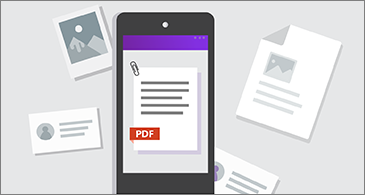 Print what you want: slides with notes, multiple slides on a page, or full-page slides. 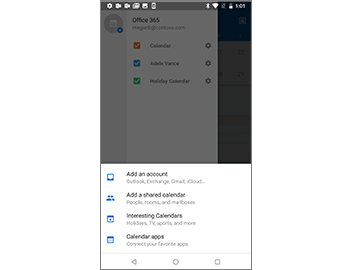 Search for a shared calendar from Outlook and open it right on your device. 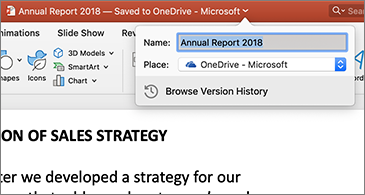 See what's new in Version 2.17 (18090503), the September 2018 feature update. 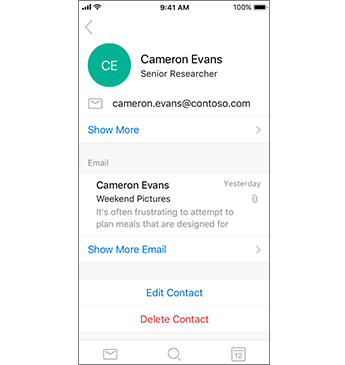 Swipe emails out of your Inbox with the actions you prefer. 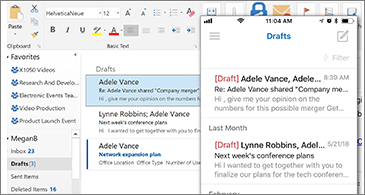 See what's new in Version 2.16 (180807), the August 2018 feature update for Word, Excel, and PowerPoint for iPad and iPhone, and weekly updates for Outlook for iOS. Wondering about past and upcoming group events? Check out the group card and stay in the know! You asked for it! 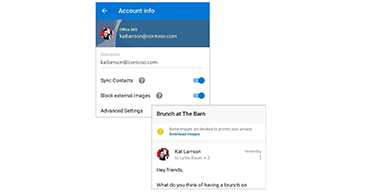 Prevent senders from tracking whether you opened their emails by blocking links to external images in messages. 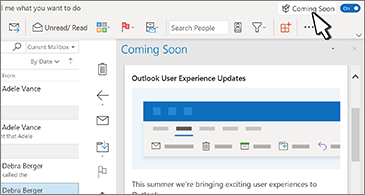 See what's new and improved in the July 2018 feature update. 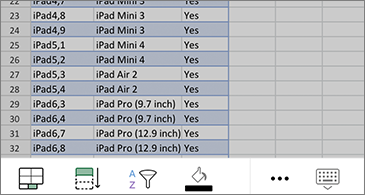 Includes features released in Version 2.15 (18070200) for iPad and iPhone. As you're scrolling, the word count of your document is always in view. 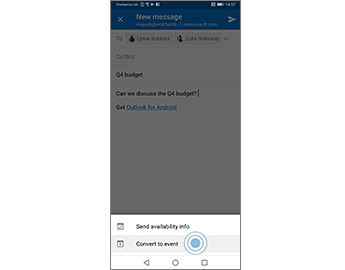 Sync draft messages between different Outlook endpoints so you can start a message on your phone and finish and send it on your desktop, or vice versa! 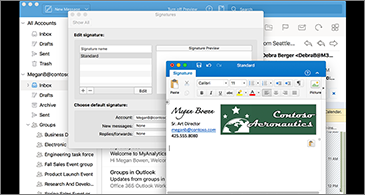 See what's new in Version 16.0.11601.20074, the April update. Looking for an event? 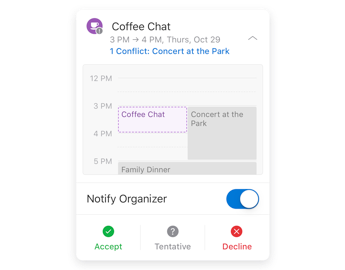 Your Calendar events show as part of your search results so you can keep track of your busy life while on the go. When you schedule a meeting, you see a list of conference rooms you have booked in the past and their availability. 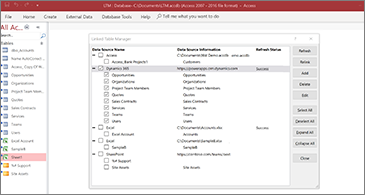 See what's new in 16.0.11328.20008, the February 2019 update. Wondering about upcoming group events? Check out the group card and stay in the know. See what's new in Build 16.0.11126.20063, the December 2018 update. 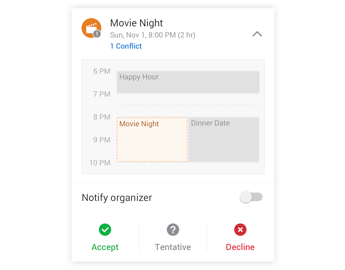 View both the invite and your calendar when replying, and be confident in your response. 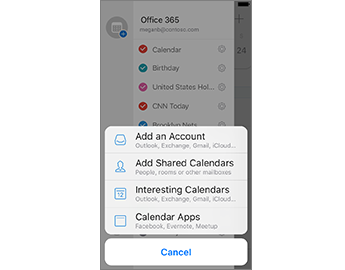 Show all events and appointments in your calendar across an entire month at a time. 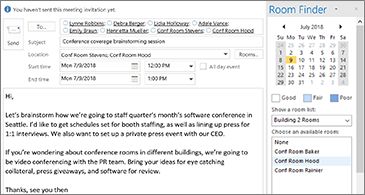 Create an event or a meeting right from an email conversation. Your invite list and conversation are preserved. 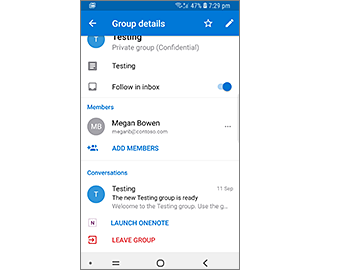 No need to open a separate app when you want to see your group notebook. Just tap the link in Outlook. Switch between your front and back cameras to capture images for your notes. After that, ink your annotations with your finger or a stylus. See what's new in Build 16.0.11001.20074, the October 2018 update. A picture is worth a thousand...cells? Extract text and numbers from a photo by using Insert > Data from Picture. 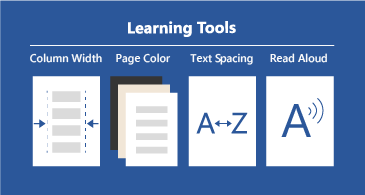 Keep all of the relevant information in your notes by attaching pertinent documents, worksheets, presentations, and PDF files. See what's new in Build 16.0.10827.20078, the September 2018 update. 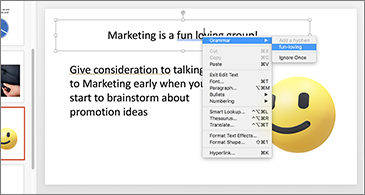 Pinch out to get a closer look at your slides, whether you're editing or just reading. 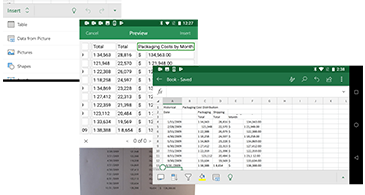 See what's new in Build 16.0.10730.20043, the August update. 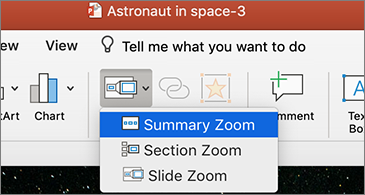 Zoom snaps to fit documents to your screen with no wasted space. On the go? No problem. 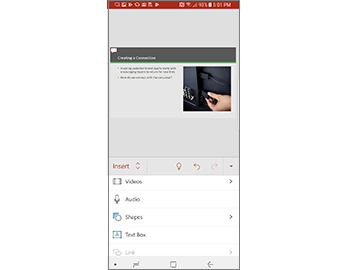 Insert audio and video files from your phone or tablet. Pinch out to get a closer look at your slides whether you're editing or just reading, and easily flip between Portrait and Landscape orientation as you review your presentation. 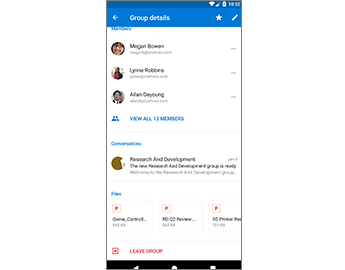 Access and view all of your files your Group is work on directly from the Group Details page. 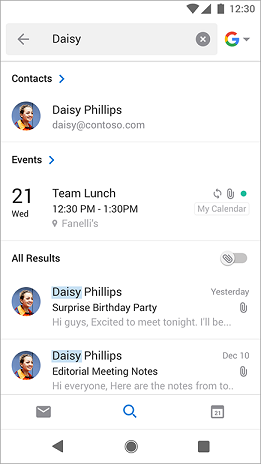 Here's what's new in Build 16.0.10228.20049, the June update for Android. 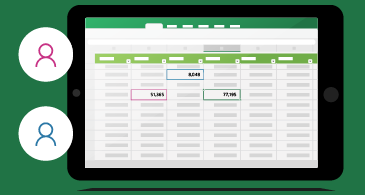 Identify the folders and groups you want to be able to quickly access, and set them as favorites. Hyperlinks aren't just blue anymore. Apply any font color you want. We heard you! 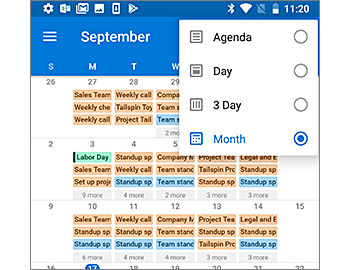 Access your calendar quickly, and easily scan and take needed actions with the newly redesigned Agenda widget. There's nothing new this month, but check out this feature we released recently. 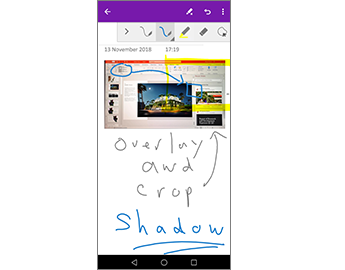 If you’re using OneNote for Windows 10, see the latest updates in What’s New in OneNote for Windows 10. 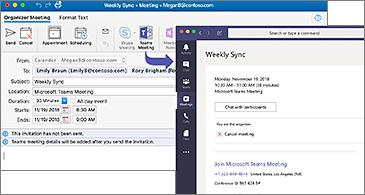 Here's what's new and improved in Version 16.11425.20056, the March feature update. 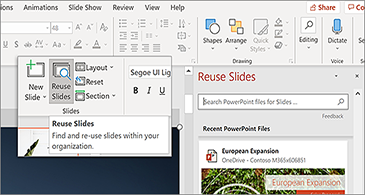 Here's what's new and improved in 17.10228, the June 2018 feature update. Here's what's new and improved in 17.9330, the May 2018 feature update. 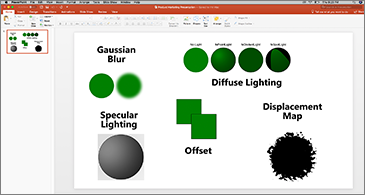 Customize your set of pens, highlighters, and ink effects, including Rainbow and Galaxy, and use them across Word, Excel, and PowerPoint and across devices. On touch screens, the digital ruler makes it easy to draw straight lines or align a set of objects. No need to worry of conflicting changes when collaborating with others on a worksheet! You can now see where they're working and what content they have selected as they edit. 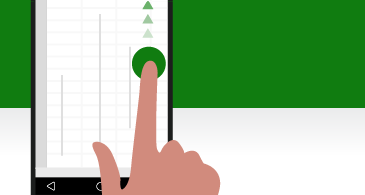 Move quickly through long spreadsheets on your touch device using the new scroll handles. 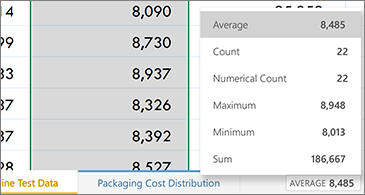 Select a range of data and quickly perform common calculations using functions such as SUM, COUNT, and AVERAGE. Here's what's new and improved in 17.9226, the April 2018 feature update. Bring your 3D models to life with animations such as swinging gently, or jumping and turning. 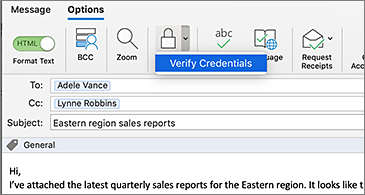 See what's new and improved features in the March feature update, Version 17.9126. Insert and rotate 3D models to increase the visual and creative impact of your documents, workbooks, and presentations. 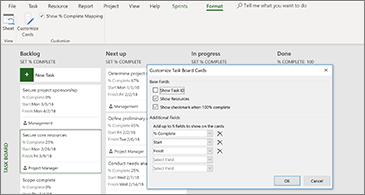 See what's new and improved features in the February feature update, Version 17.9029. 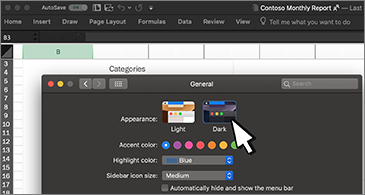 Easily find out who has edited your presentation and what changes they've made by checking out the slides that have a green highlight. 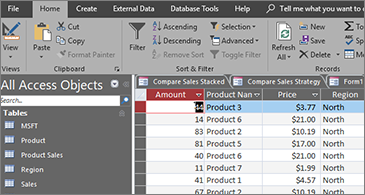 See what's new and improved features in the January feature update, Version 17.9001. 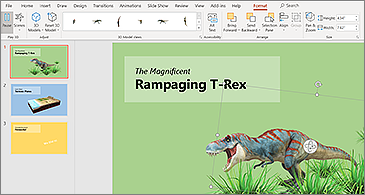 Word now supports creation and editing equations.